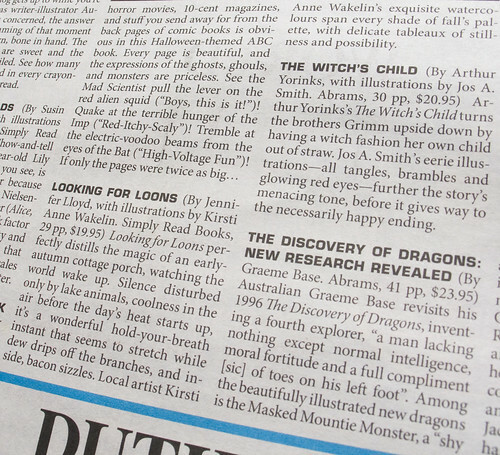 Looking for Loons was reviewed in the October 11-18, 2007 issue of the Georgia Straight along with a bunch of other great children’s books. Some of the other books were authored and illustrated by my fellow CWILL BC members. 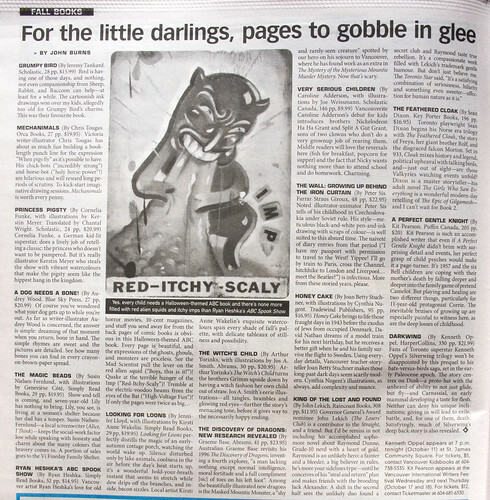 To read the reviews, pick up this week’s Georgia Straight (October 11 – 18, 2007) or read them online.